Safety standards and other norms need to be in place to fuel investments and research in space applications. WASHINGTON — A team of researchers and Pentagon contractors was recently selected to organize a space industry consortium that will consider new “rules of the road” for commercial on-orbit activities like repairing and refueling satellites. The effort, led by the Defense Advanced Research Projects Agency, is being touted as a major step in the transition of on-orbit services from experiment to reality, and ultimate commercial success. The project is significant, analysts said, because safety standards and other norms need to be in place to fuel investments and research in space applications, and open up new markets in robotic and human exploration. The federal government regulates space activities but there is no rule-making body for the new and mostly unknown activity of in-orbit services. The Federal Aviation Administration runs launch, the Federal Communications Commission oversees satellite communications, the National Oceanic and Atmospheric Administration regulates Earth imaging. The Secure World Foundation, along with the University of Southern California’s Space Engineering Research Center and the Space Infrastructure Foundation were selected to coordinate the “consortium for execution of rendezvous and servicing operations,” known as Confers. DARPA last month awarded Advanced Technology International a contract to manage the operation. “Satellite servicing and related technologies are the foundation of the future economic development of space and delivering increased benefits from space to the world,” said Brian Weeden, director of program planning of the Secure World Foundation. Technology has been developed to “approach, grasp, manipulate, modify, repair, refuel, integrate, and build completely new platforms and spacecraft on orbit,” he said. But the lack of clear, widely accepted technical and safety standards for on-orbit activities involving commercial satellites remains a major obstacle to the expansion of the industry. Over the first 12 months of the project, the contractors and researchers will start bringing together experts from industry, academia, government, and the international community. Weeden said a broad range of expertise will be needed to come up with standards for technical interfaces and designs, data exchange and sharing, operational practices, and transparency and confidence building measures to spur future activities. Once the consortium members agree on a set of standards, the next step is to work with existing bodies such as the International Organization for Standardization and the Consultative Committee for Space Data Systems. The success of the consortium obviously depends on broad participation from the space industry and government agencies. Weeden said an outreach program soon will begin to recruit satellite manufacturers, satellite operators, service providers, insurers and underwriters, and other stakeholders. DARPA’s support for on-orbit satellite services began years ago. The agency pioneered the concept of using robots in space and more recently invested hundreds of millions of dollars in a public-private partnership with Maxar Technologies’ Space Systems Loral to build an autonomous vehicle for servicing satellites 22,000 miles above Earth. 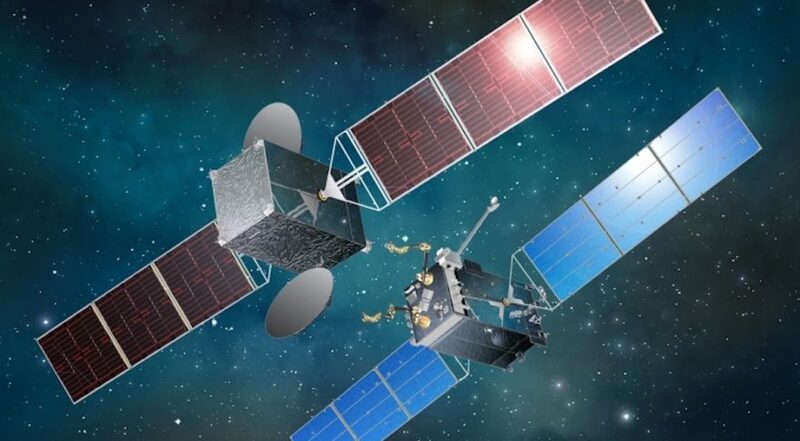 Maxar in June announced the launch of Space Infrastructure Services, a new U.S. company that will commercialize sophisticated satellite servicing, including refueling. SIS awarded SSL a $228 million contract to design and build a satellite servicing spacecraft that meets DARPA’s specifications. The company announced that SES, which operates more than 50 geosynchronous satellites and 12 mid-Earth orbit satellites, has signed an agreement to be the first commercial customer to use the SIS satellite refueling services.